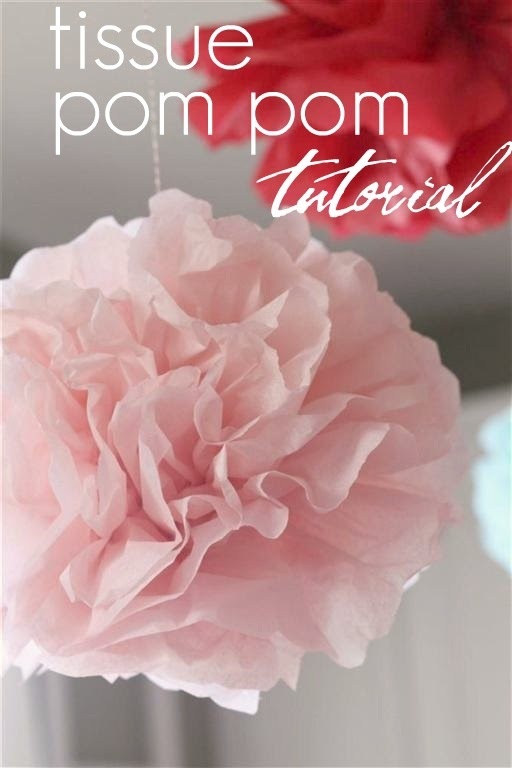 Here's how I made the tissue pom poms for Ava's birthday party and for the Milk and Cookies baby shower. So easy! Take the tissue out of the package and lay it flat (this package had 12 but I recommend 8). I like to do the smaller tissue pom poms so I cut the tissue paper in half so that it's a rectangle - - about 13x20 . Here comes the fun part. Remember when we were kids and we'd make paper fans? Was I the only one that did that? Well, that's basically what you do to make these pom poms. Make a paper fan like in the photos below. Fold the short side about 1 1/2 inches thick and keep on doing that until you have a fan. Once you have your fan, you want to cut a design out on the ends (like when we were kids and we'd make snowflakes - - all this paper crafting when I was a kid really paid off). This time I made it pointy on the end (I rounded the corners on the ones I made for the party - - I think I like those ones the best). Almost done. Just tie some string/twine (whatever you want) to the middle. 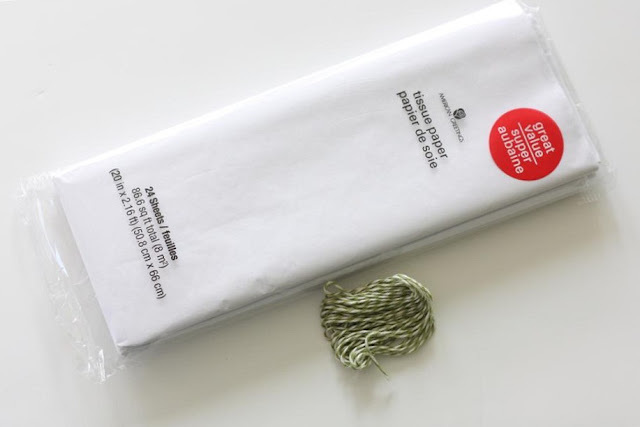 After you've tied the string, you want to carefully separate each tissue paper towards the middle. Be. Very. Careful. The separate tissue papers are very delicate and can rip easily (but if they do rip, no biggy - - they still look good and no one will notice). It'll finally start puffing up and look amazing. Everyone will start asking you where you bought your pom poms and you can proudly tell them that you did it. All by yourself! Then just hang. I love hanging 3 pom poms together or just 1 by itself. There you have it. Some Martha Stewart-ish party decor that was easy, fast, and cheap. Thank you for showing us how to make these! I am bookmarking this one for later! Our Daily Obsessions by Amy is licensed under a Creative Commons Attribution-NonCommercial-NoDerivs 3.0 Unported License. Based on a work at www.ourdailyobsessions.blogspot.com. Permissions beyond the scope of this license may be available at www.ourdailyobsessions@gmail.com. a mother of two adorable little girls, wife of a law school student, stay-at-home mom/part-time nurse, and in addition to all of these, I'm kept busy obsessing over decorating my new home, sewing, crafting, baking, photography, etc. Short or Long? The Ultimate Dilemma.